At their meeting of 29th September 1943 the Corporation of Sutton decided on a rate for the next six months, and so that everyone would know that the notice was official it was resolved “that the Common Seal of the Council be affixed thereto”. The use of seals to authenticate documents goes back to ancient times - they were used in Greece and Rome, the seal being created by pressing the master onto soft wax or metal. Kings of England had their particular seals, usually showing an image of the monarch or his armorial bearings - a seal of King Henry VIII is still attached to the Charter of 1528 which made Sutton a royal town. In medieval times every gentleman had his own seal to safeguard his letters and certify his documents - the seal had a higher validity that a signature. Henry de Bereford, of Sutton’s Langley Hall family used his seal on a document in 1327, but, fearing that his seal was not widely recognised, he asked his nephew Roger Hillary to affix his seal as well. 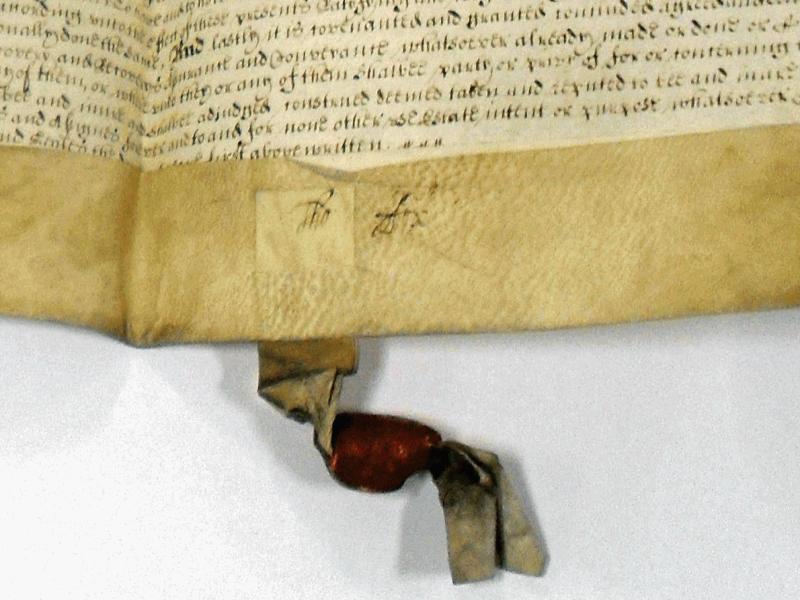 Documents were still being “signed sealed and delivered” in the seventeenth century; the illustration shows a deed of 1661 signed by Thomas Fox on a strip of parchment threaded through, the ends secured by a lump of red sealing wax stamped with his seal which Fox had applied with his signet ring (too small to show up in the photo). 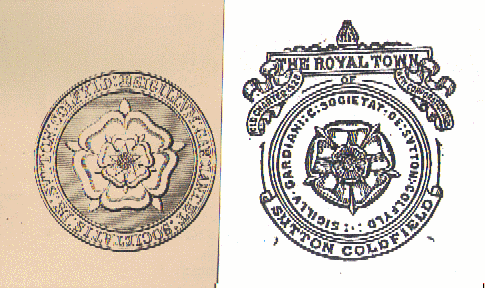 The Common Seals of the Warden and Society on the left, and the Municipal Borough on the right. Thomas Fox’s seal on a 1661 deed. (illustrations courtesy of Sutton Reference Library).